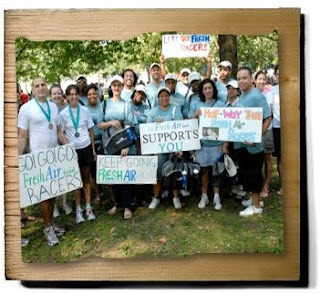 If you want to make a difference in the lives of thousands of Fresh Air children, consider participating in the NYC Half-Marathon this coming March 21, 2010. The Fresh Air Fund is still looking for runners and sponsors to join their Fresh Air Fund-Racers team for this world-class event. If you would like to run, please register here. The Fresh Air Fund-Racers are dedicated runners who trained so hard to help raise funds for the Fresh Air Fund. This summer, the Fresh Air Fund-Racers completed the NYC Half-Marathon and raised almost $90,000.00. Working as charity partners for the NYC Half-Marathon for three years now, the Fresh Air Fund-Racers have raised more than $300,000.00. This entry was posted in Fresh Air Fund, Fresh Air Fund-Racers, NYC Half-Marathon. Bookmark the permalink.